ABOUT THE AUTHOR – A Man and his beloved Dog 🙂 ….both dressed in ‘sunny whites’. We would like to introduce one of our fine authors Phillip Paxton. Born in Culver City, California, across the street from MGM Studios, Phillip Bardwell Paxton, actor and producer, was destined to be in the entertainment business in one way or another. He began as a theatrical, television and feature film actor starring in such shows as, Father Knows Best, GE Theater, Tales of Wells Fargo, 77 Sunset Strip, Schlitz Playhouse and many more. Features included, Because They’re Young, Strangers When We Meet, Zots!, and Francis Coppola’s Dementia 13. Bart then went into production, producing and writing features, Beachball, Wild, Wild, Winter, and Out of Sight. Followed by Coppola’s award winning feature, The Rain People. Phillip went on to write, produce and act in the Los Angeles theatrical musical production of, The Star in the Buttercup Tree, at the Theatre Vanguard. He also starred in Hollywood’s Ivar Theater production of Under the Yum Yum Tree. He went on to produce and direct several television commercials. He directed the feature film, Unshackled, starring, Stacy Keach, James Black, and Morgan Fairchild. And has currently directed the Highlands North Carolina theatrical productions of Educating Rita, and Vincent. The Author has written several screenplays which are presently under options with studios. This is Phillip’s first novel. He currently lives at Lake Burton, Georgia with his wife Margaret. Between them they have five children, eight grandchildren and two great grandchildren. 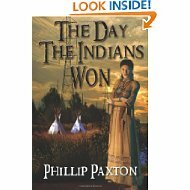 Phillip Paxton’s first novel “The Day the Indian Won”, is one of many more to come – to grace our literary catalogues and book reviews, is now out in print at Amazon.com bot in Kindle and paper back. Genre: Romantic, suspense, Eco Sensitive, Political Fiction. Max Novak, an aging widower has totally withdrawn from society, moved to the North Carolina Mountains and made himself a paradise, totally independent from the power grid; all this after losing his mate in a suspicious accident on the very day he had sold his Lake Burton, Georgia lakeside cabin for one million dollars. When a representative of the Nantahalla Power Company is discovered marking a line right through the center of Max’s property with orange plastic tape to make way for a 375 kilowatt power line that will cross right through Max’s land, as well as through his immediate neighbor’s, a full blooded Cherokee Indian named, Chief Whitecloud, who lives with his daughter, Nicole, Max is forced to get involved with his tiny community of Lake Nantnahalla, in order to try, against all odds, to stop the power company. With the law of eminent domain on their side, the power company becomes a formidable adversary. This work, albeit in a fiction setting is not far from the reality today in a world of division politcally, greed, racial discrimination and lust for wanton power struggle. We urge anyone who enjoys a great read which touches upon and brings to mind so many human and autocratic elements, to buy a copy now! 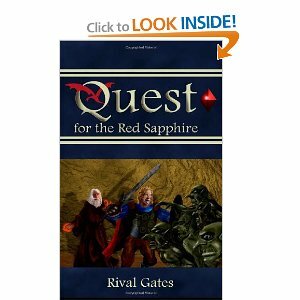 PROMOTIONSMore updates coming our way about this fine Author, and future works planned.